Customized contract training to government agencies and private organizations worldwide. Each year, about 26,000 students study at one of JIBC’s six campuses in BC, through online distance education, and at locations in more than 130 BC communities, as well as sites across Canada and around the world. 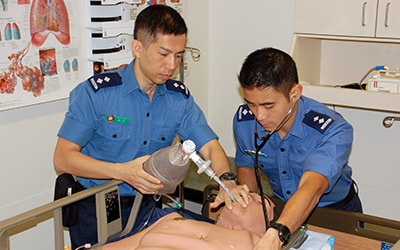 JIBC graduates serve in a broad continuum of public and community safety professions to support the health, safety and well-being of individuals and communities in B.C., across Canada, and around the world. Our approach to education emphasizes realistic simulations and applied learning delivered by instructors who are experienced practitioners. Our education prepares professionals with the knowledge, skills, and abilities to excel at every stage of their chosen careers contributing to safer communities and a more just society. JIBC also works with clients – in BC, Canada and internationally – on a contractual basis to develop and deliver customized solutions that meet their employees’ educational needs. Our programs and courses are offered at JIBC's six campuses and delivered throughout B.C. in more than 165 communities. Courses are delivered face-to-face, online and in a blended format. JIBC continues to expand opportunities for students to access JIBC's courses and programs through the development of educational partnerships with community organizations and other post-secondary institutions in B.C., across Canada, and around the world. The JIBC Library maintains a large collection of justice and public safety books, journals, video, and audio, and provides access to extensive online resources. Librarians are available to provide research assistance. The Institute provides students with a range of registration and student services, including counselling, financial aid and awards, Aboriginal student services and the JIBC Store. The Centre for Academic Planning & Graduate Studies sets standards for and oversees the development of academic programs and coordinates the delivery of liberal arts courses. The Centre for Teaching, Learning & Innovation advances scholarly and innovative approaches to teaching, learning, curriculum, and educational technology practices across JIBC’s diverse inter-professional and applied learning contexts. The JIBC Foundation supports JIBC by raising funds for scholarships and bursaries, research initiatives, and the purchase of equipment and other learning tools. JIBC's Centre for Applied Research is dedicated to advancing justice and public safety through the scholarship of discovery, application, integration, teaching, and service. Since 2008, JIBC has partnered with public and private agencies, organizations and businesses to answer real-world questions that impact first responders, emergency managers, and other public safety professionals. Recent work by the Centre includes the Critical Infrastructure Assessment Project. Employing the expertise in JIBC's Emergency Management Division (EMD), JIBC is working with the Canadian Safety and Security Program to develop a process and tool to help local authorities address the impact of potential hazards on their critical assets as part of their emergency management process. 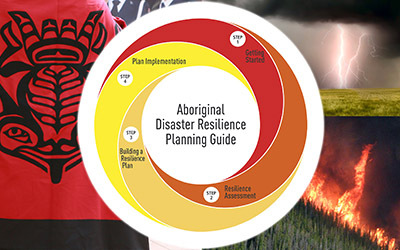 JIBC has also developed a web-based Aboriginal Disaster Resilience Planning Guide, which provides the tools to support community resilience in the event of a disaster or emergency. The project was completed in partnership with Wilfrid Laurier University and was built on the success of the Rural Disaster Resilience Planning Network developed with other organizations including the Centre for Security Science, the Public Health Agency of Canada, Royal Roads University and Natural Resources Canada. 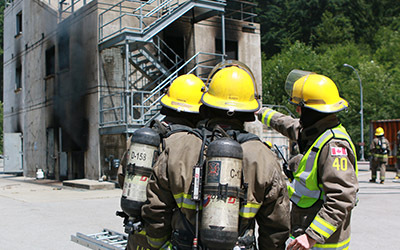 Increasingly, organizations across Canada turn to JIBC to deliver leading-edge applied research that leads to new insights, innovation and best practices for public safety professionals dedicated to keeping communities safe. Visit the Centre for Applied Research webpage for more details about the latest projects underway and how JIBC can support your organization's applied research needs.